Live Free or Dichotomize - The making of "We R-Ladies"
The making of "We R-Ladies"
Last March Maëlle wrote a blog post “Faces of #rstats Twitter”, a great tutorial on scraping twitter photos and compiling them in a collage. This inspired a similar adventure, but for #RLadies! One of our early brainstorm ideas, as Maëlle pointed out, looks a bit more like a kniting pattern. We brainstormed different ways we could make this collage unique, but ultimilately landed on creating a mosaic with the R-Ladies logo. For the collage itself we decided on using Meetup data, which was made even cooler by the fact that the meetupr package was developed by R-Ladies in the R-Ladies Github organization! For the frame of the collage we chose to use the R-Ladies identified via Twitter. To get all of our current Meetups, we scrape our R-Ladies GitHub data. We use our meetupr package to pull profile pictures of all of our members. If you would like to follow along, you can grab a Meetup API Key. Here are a few small functions to get and save the Meetup photos. Grab the photos for each Meetup group. Now walk it out 💃. There are a few photos that are the default avatar. These have a grey color with a white center. To check if this is the case, test whether the first column of pixels is fully grey. ⊕ This removed ~200 photos. We use RsimMosaic, but had to tweak a few things (there were a few pictures causing errors making the whole thing break, so I added some error catching as well as the abilitity to specify the input tile size). We used 9106 unique tiles to create the image using K-nearest neighbors to select the optimal match. ⊕ We removed a few accounts that we know are not actually (our version of) R-Ladies accounts. Here is a function to save the images. We are using the twitter images as the frame, so they are larger than the Meetup images. Now let’s randomly read them in! ⊕ We removed a few of the chapter accounts to ensure an even number. Create the top of the frame 🎉. Create the bottom of the frame 👇. Create the left side of the frame 👈. Create the right side of the frame 👉. We add small R-Ladies logos to the sides of the frame! Attending JSM? Come see our work on display at the Data Art Show! And since participating makes us real data artists now, find below the “artsy” description of our work! R-Ladies is a global organization focused on improving gender diversity in the R community. 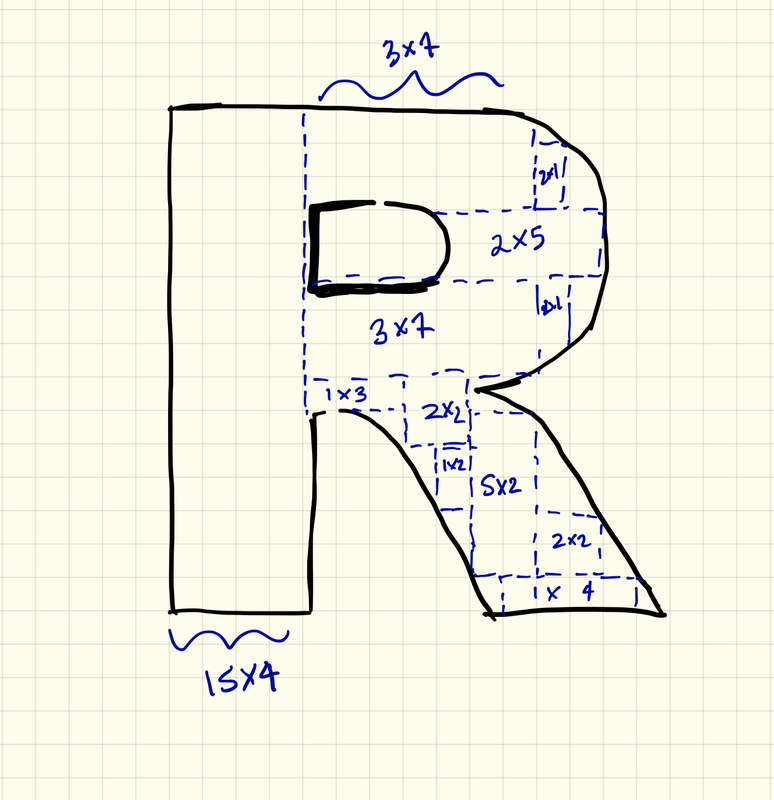 R is an open-source statistics programming language. We used an R-Ladies developed package, meetupr to pull several thousand profile pictures from 33 R-Ladies meetups. We then used k-nearest neighbors to optimally match each image to a pixel of the R logo. 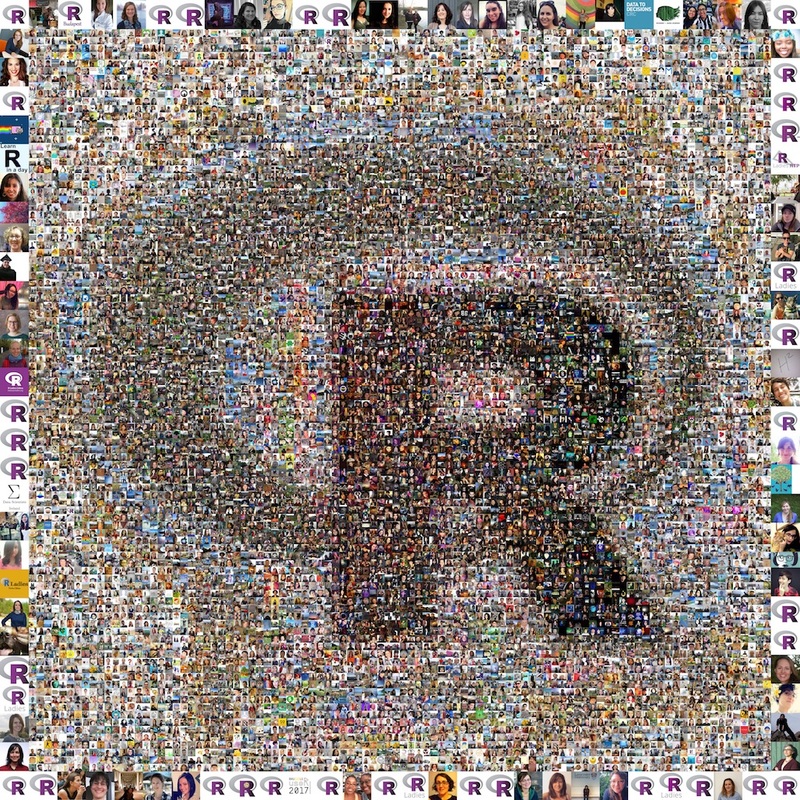 The frame is comprised of Twitter profile pictures of individuals and local chapters who used the hashtag #RLadies in the days prior to our data collection. Pictures were assembled thanks to rOpenSci’s magick package. This work symbolizes how the global R-Ladies community is composed of diverse individuals attending events and communicating about the organization, whose strengths add up and create a strong grassroots organization. The whole creation process was carried out using R, showing the diversity of the language itself, and making the most of a tool, meetupr, created by members of the R-Ladies community, further underlining the synergy we want to convey. All in all, We R-Ladies is a tribute to diversity in the R community.